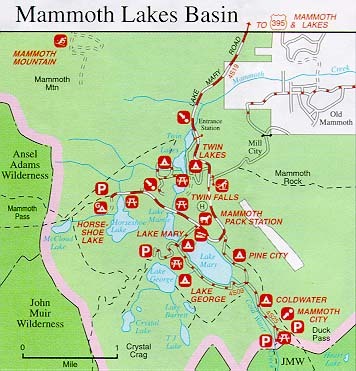 The Mammoth Lakes campsites in town, at the Basin, Convict Lake and Reds Meadow can be reserved through the partnership the US Forest Service. Sites can be reserved by calling the local visitors bureau. Many are on a first-come, first-served basis but if you can make a reservation, do so. Here are other areas for those who will be pitching tents and moving on. 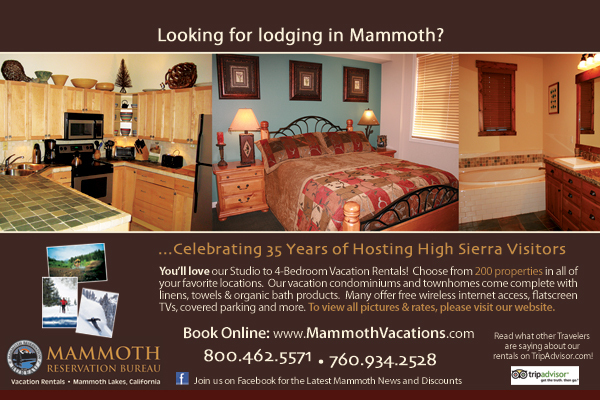 Roughing it for some is staying in hotels in Mammoth! 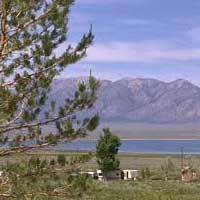 or car camping in a Mammoth lodging with a spa and sauna! And don't forget to look at a map of the area. Reservations # of Sites Season Water Stay Limit Elev.